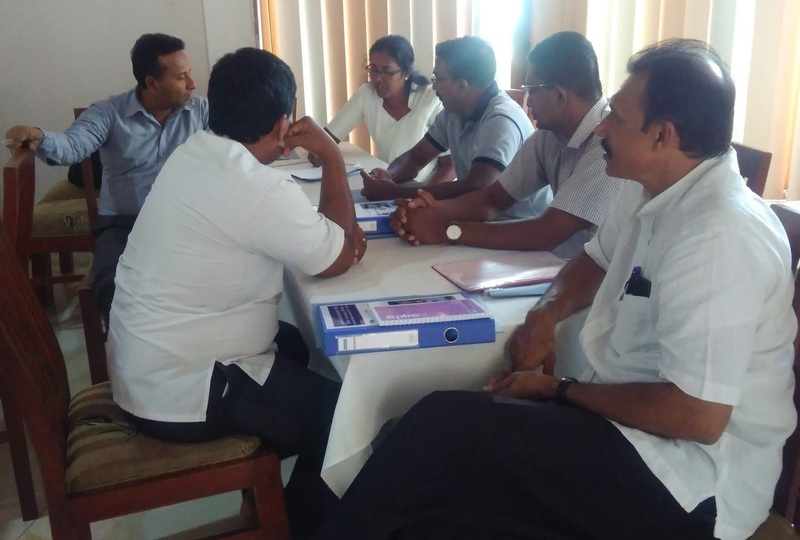 A workshop under the theme of “Rule of Law” was organized by National Peace Council for the members of Negombo Inter Religious Committee at” Rani Beach” hotel in Negombo on 22 to 23 of January 2019. There were 34 participants in the workshop. Around 14 Village Officers (Grama Niladari) in the area, representatives of civil society organizations, Muslim, Catholic and Buddhist religious leaders and Miss. Kethma who represents the National Peace Council participated in the workshop. Mr. Jagath Liyanaarachchi, lawyer engaged with the workshop as the resource person within the two days. Mr. Jagath Liyanaarachchi explained the beginning of the concept of “Human Right” and importance of that concept in national and international level. He educated the members about the international law related to the human right, usage and its role. Participants were able to get a proper understanding about the different categories and current usage of the human right by concerning the practical examples. It discussed about the constitution, its legal aspect, fundamental rights and links between fundamental rights and human rights and differences among them as well as it concerned about the penal code, civil and political right convention act, Profane Publication Act No. 41 of 1958, prevention of terrorism act of 1978, international convention of religion rights and some other acts related to religion rights in Sri Lanka. The lawyer further explained the factors which support to ensure the rule of law, role of human rights council in Sri Lanka. There was some group discussions based on the main objective in two days. Nafso office represented by Nuwan Pradeep in this training.